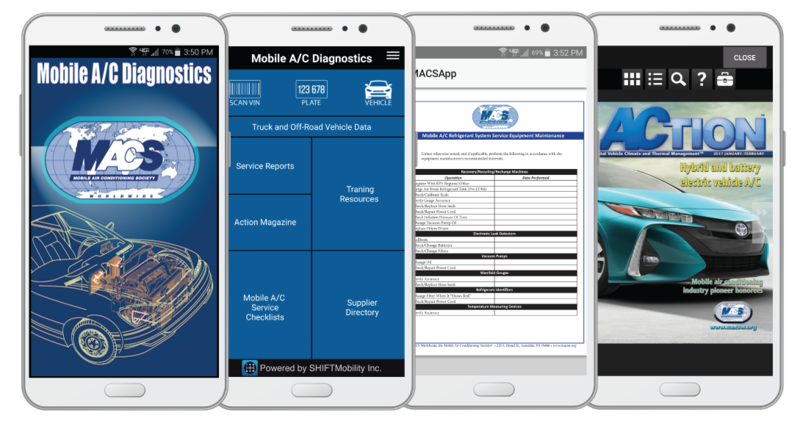 Join the Mobile Air Conditioning Society (MACS) Worldwide as a paid member and you’ll have access to our MACS mobile A/C diagnostics app with the MOTOR information refrigerant and oil specs ready to access through your mobile device! Watch the video! This entry was posted in #1234yf, MACS Member, MACS Webinar, Mobile Air Conditioning, Refrigerants, Training and tagged #MACS Member, #Macs worldwide, #MACSW, #Mobile Air Conditioning Society, mobile air conditioning. Bookmark the permalink.